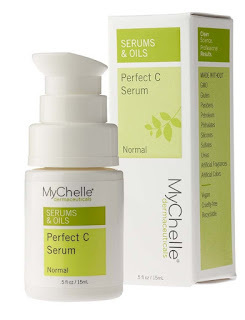 Using natural ingredients instead of harsh chemicals Perfect C Serum from Mychelle Dermaceuticals is a wholesome and effective solution for correcting the effects of aging skin. Vitamin C—a necessary component of healthy skin—isn’t produced naturally by our bodies so it needs to be incorporated into our diets and skin regimen. 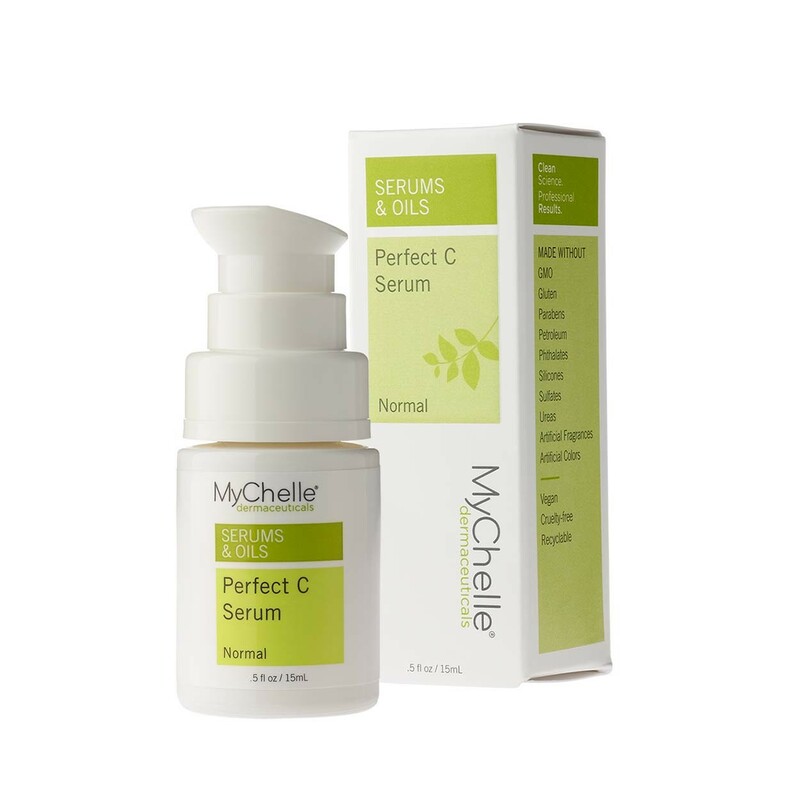 Boasting a powerful 17% dose of L-Ascorbic Acid this serum provides structural repair to stressed collagen that has lost elasticity. Promotes cell recovery from oxidative stress with plant stem cells for brighter clearer skin. 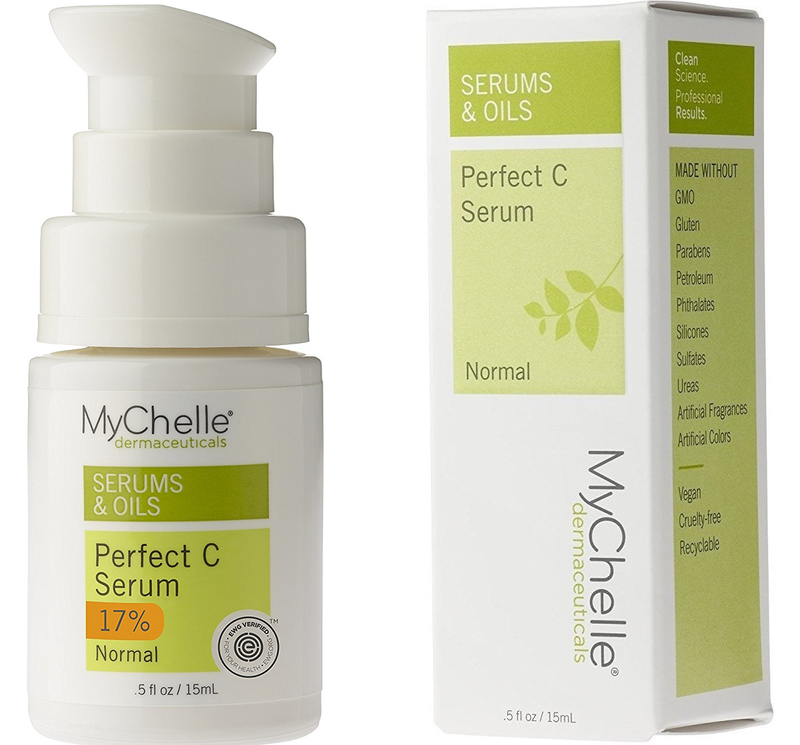 Ascorbic Acid (L) 17% – Bioavailable vitamin C that strengthens collagen assists in brightening provides anti-wrinkle effects smoothes skin texture and heals wounds. Buddleja Davidii Stems GTM – Innovative stem cell derived from plants. 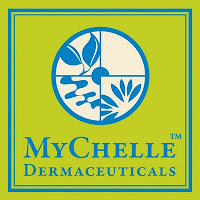 Protects skin from UV stress and can help reduce inflammation. Astaxanthin (BioAstinTM) – Carotenoid derived from volcanic seaweed. 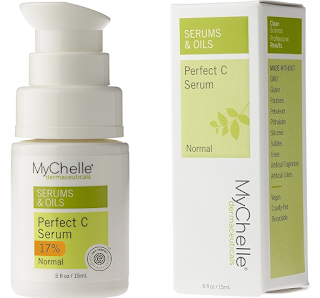 Protects collagen and prevents cross-linkages with intensive antioxidant actions.